are made to look and feel like traditional smoking in almost every way—from the LED tip that can be mistaken for a burning stub to the tobacco taste and even similar weight. 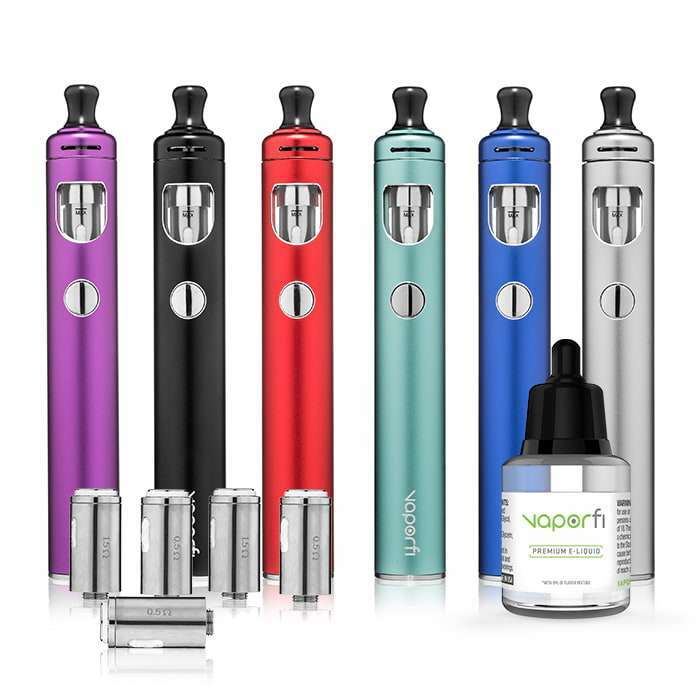 Even advanced electronic cigarettes like the kind we make here at VaporFi, which look much different than traditional cigarettes and the intro electronic models, are specifically designed with smokers in mind in order to provide a smoking experience that goes above and beyond what your usual smokes can offer. So it's not surprising that many first-time e-smokers try to approach electronic cigarettes the same way they would a traditional cigarette. However, the technique for puffing on an electronic cigarette is much different than smoking a tobacco cigarette. It can be frustrating picking up a new habit when you are so used to doing something a certain way, but once you learn how to inhale an electronic cigarette properly you'll be e-smoking like a pro in no time! Sometimes knowing what NOT to do is just as helpful as knowing what you should do. For starters, when using an electronic cigarette, you should avoid taking quick, short drags like you would a traditional cigarette. Electronic cigarettes aren't designed to be smoked this way, and you might end up with a mouthful of e-liquid, which is rather unpleasant. Another tip for e-smokers is to steer clear of chain smoking—or chain vaping. After 3-7 draws from your electronic cigarette, take a break and come back later. Allow at least a couple minutes in between "sessions" for cooling. Prolonged, repetitive e-smoking without allowing some time to recoup can lead to sore throat, irritation or taste bud burnout, aka "vaper's tongue." Read our Learning Center article "Vaper's Tongue: What It Is and How to Cure It" for information on treating taste bud burnout. Draw. When you inhale on your electronic cigarette, take a slow and steady draw until vapor fills your mouth. (The process is similar to smoking a cigar.) With e-smoking, you don't have to draw the vapor directly into your lungs in order to achieve the desired effect. Hold & Exhale. After you draw the vapor into your mouth, hold it there for 3-5 seconds before inhaling it into the lungs or exhaling through your nose or mouth. Nicotine from tobacco cigarettes can only be absorbed through the lungs, but with e-smoking, it can also be absorbed through the mucus membranes in the mouth first, then the lungs and nose. Wait. The "hit" that a smoker waits for is typically felt around 8 seconds after taking a puff on their tobacco cigarette. However, because nicotine absorption in electronic cigarettes occurs through the mucus membranes, it can take up to 30 seconds to feel the effects. At first, this can be a source of frustration for new e-smokers who don't understand, but it is easy to get accustomed to. To warm up the atomizer for e-smoking, many people like to do a "primer puff" first. A primer puff is a quick inhale to heat up the coil without the intention of pulling anything. This technique isn't necessary, but it can help get your electronic cigarette primed and ready for use. For more tips and tricks on e-smoking, visit our learning center and blog. You can also view our inventory of premiere digital cigarettes either on our main site or by stopping by a store near you. If you’re brand-new to the world of e-cigs, we recommend you check out one of our starter kits to get started on the right foot. 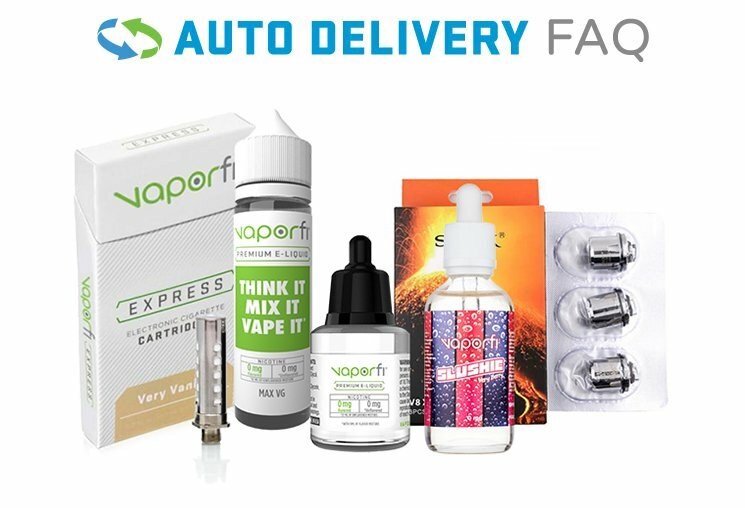 And as always, feel free to contact us with any questions you have about the VaporFi e-smoking experience or electronic cigarettes in general.